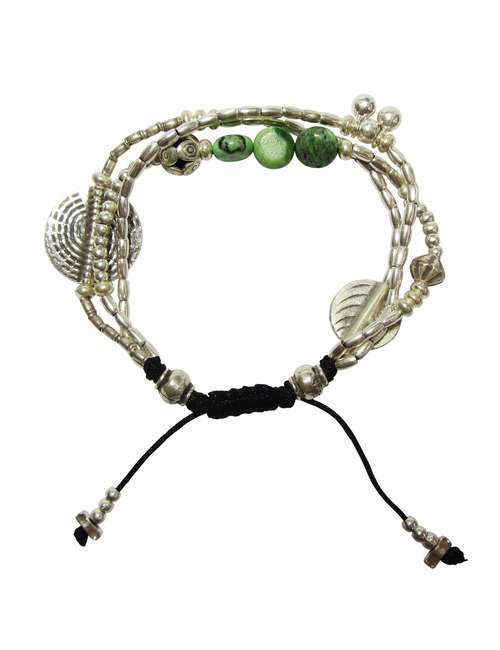 This sterling silver bracelet is a striking yet elegant bracelet combining 3 strands of sterling silver gathered to a point, its like wearing 3 bracelets in one. 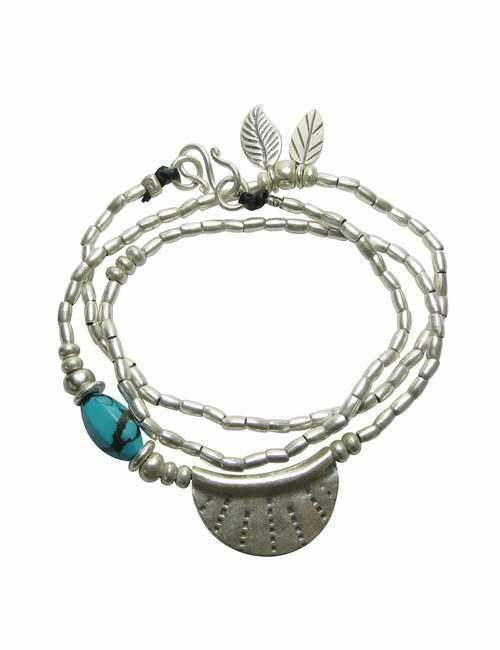 It features green grass turquoise stones with a large silver disc amongst other silver charms. It’s the perfect bracelet to wear solo or if you’re feeling adventurous layer up with other many more. 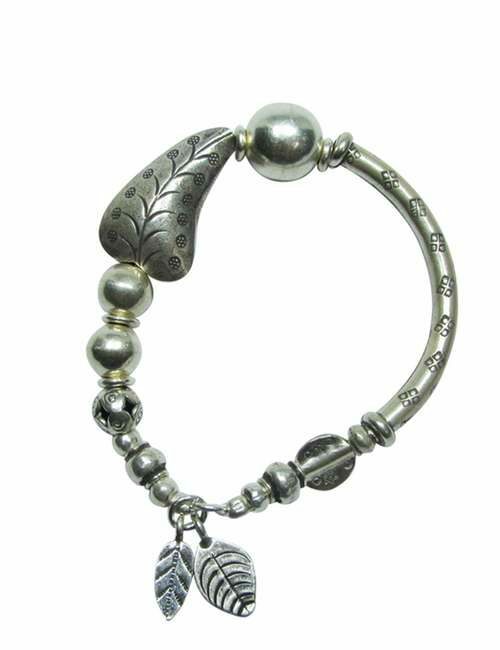 This bracelet is a definite stand out with that bohemian vibe. SIZING: This is a loose fit when worn with macrame slider connection but will be a little more snug fit if toggle clap option is selected. Please see sizing chart for your size. I like to measure the exact size of my wrist (using string) then add about 1.5 to 2 cm to get my perfect fit. You should be able to slip your finger in between the bracelet and your wrist.